Electrical shocks can happen if you don't protect your hands. These kits includes two pairs of gloves that can be used for arc flash protection. 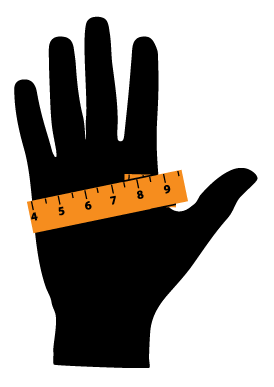 In order to determine the proper size for Class 0 and 00 insulating gloves, use a tape measure to find the circumference of your hand, measuring around the palm. If your palm measures 9", your Class 0 and 00 glove size is 9. For Class 1, 2, or 3 gloves add 1/2 size to allow for dexterity. For example, 9” means your Class 2 glove size is 9 1/2.